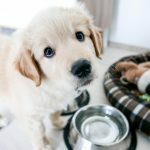 While most owners simply plop their dog’s food bowl down on the floor at feeding time, some owners like to provide their pet with an elevated dog feeder. This way, their dog needn’t bend down as far to eat, and he’ll be able to enjoy a better mealtime experience in the process. But you can’t just purchase any elevated dog bowl – you need to pick one that will be comfortable for your dog to use, and that is built to last. We’ll examine five of the best elevated dog feeders for large breeds and discuss some of the reasons some owners like to use raised feeding bowls. CAUTION: Be aware that the use of elevated dog feeders for large breeds is surrounded in a bit of controversy. Some authorities are concerned that elevated dog feeders increase the odds of bloat. However, despite a handful of studies, this suspicion has yet to be thoroughly substantiated. 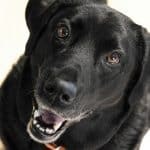 Until the veterinary community comes to a consensus, you should discuss the issue with your vet before deciding to begin using an elevated dog feeder with your pet. This is particularly important for those with dogs who are at high-risk for the condition (primarily large breeds with deep chests). There are plenty of elevated dog feeders on the market, but relatively few are likely to work well and leave you happy with your purchase. Start your search by considering one of the following five options, which are clearly among the best available. About: The IRIS Elevated Storage Feeder is an airtight plastic storage bin, which not only serves as an elevated feeding platform, but it also provides you with a great place to store up to 64 cups of your dog’s food. This makes feeding time more convenient, and the clear sides of the container make it easy to see how much food is left at a glance. User Reviews: Most owners were extremely pleased with the IRIS Elevated Storage Feeder and reported that it worked exactly as they had hoped. The majority of owners who tried the feeder found it very convenient, and dogs appeared to like eating from it too. Additionally, several owners were happy to find that the container was very easy to wash.
Bottom Line: If you prize functionality and two-for-one solutions to your pet-care challenges, the IRIS Airtight Feeder is a great option. This feeder works very well, provides you with bonus benefits few other feeders do and it is priced very affordably. Although it isn’t the prettiest feeder in the world, it certainly won’t be an eyesore in your kitchen. About: The Pet Zone Raised Dog Feeder is a straight-forward product with a bit of a minimalist design. 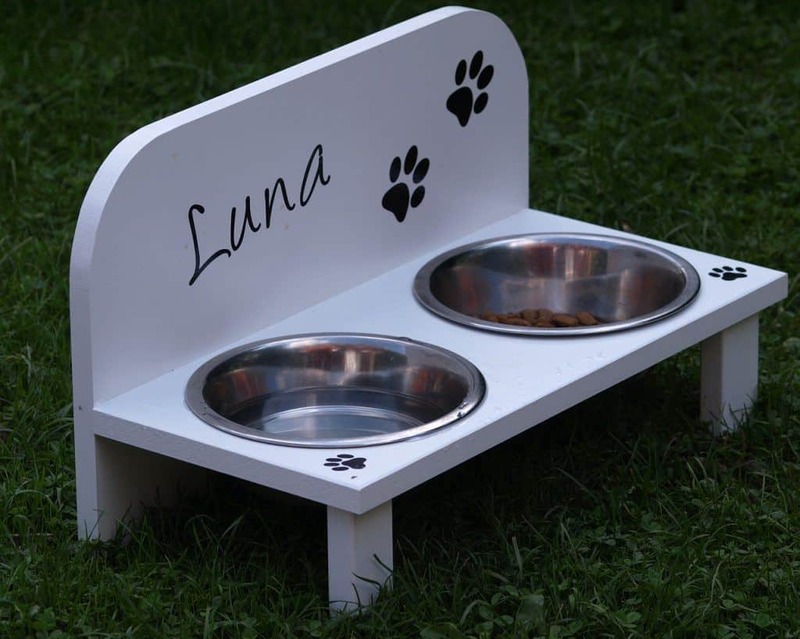 An adjustable feeder, you can choose any of three different heights to suit your dog best. Additionally, the Pet Zone Feeder is very easy to keep clean, and you can actually wash it in your dish washer. User Reviews: Opinions were mixed with regard to the Pet Zone Raised Dog Feeder; some owners loved the product and found that it worked very well, while others reported that it was too flimsy and was easy to tip over. A few other owners lamented the cheap plastic aesthetics of the feeder, but your dog won’t care how the product looks – they only care about how it functions. Bottom Line: Although the reviews of the Pet Zone Raised Dog Feeder weren’t as good as some other products covered here, its adjustable design means that it still deserves consideration. Nevertheless, you may want to choose another elevated dog feeder if your pet is especially tall (as this will require you to elevate it more, which will make it less stable) or rambunctious. About: The Platinum Pets Double Feeder is a rugged, great-looking elevated feeding platform, which includes a number of nifty design features to make life easier on you and your pet. The one-piece design is easy to keep clean and features a powder-coated finish, which prevents it from suffering nicks and scratches. User Reviews: The reviews for the Platinum Pets Double Diner Feeder were overwhelmingly positive. Many customers reported that it was the best elevated dog feeder they had ever used, and they encouraged other owners to purchase the product too. A number of customers were also happy with the rubber feet, which prevented it from sliding around on the kitchen floor. Bottom Line: You’ll pay a little more for the Platinum Pets Double Diner Feeder than you would for many of the other elevated dog feeders on the market, but because it works well and looks great, it is easy to justify paying a little more. The only thing missing from the product is a way to adjust the height of the feeder, but otherwise it has everything you’d want. About: The OurPets Elevated Feeding Station is a lightweight, yet sturdy feeding platform that is molded in the shape of a dog’s bone (when viewed from above). Unlike a lot of other plastic elevated feeders, the OurPets Elevated Feeding Station is stable enough to resist tipping in most circumstances. User Reviews: Most of the owners who purchased this feeding station were extremely happy with their choice. 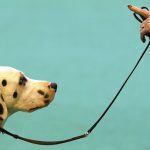 It works well for most dogs, and the majority of owners found it to be quite stable. However, while most users had only positive things to say about the OurPets Elevated Feeding Station, a few did mention that it would slide across the floor if not used in conjunction with a non-slip floor mat. Bottom Line: The OurPets Feeding Station is a high-quality elevated feeding platform that will hold your dog’s food and water dish securely and prevent them from tipping over. The included spill ridge is also a very helpful feature that increases the value of the product. However, the larger sizes are a bit more expensive than many other options on the market. About: The Pawfect Pets Elevated Dog Feeder is a unique-looking feeder that is designed to limit the mess your dog creates while eating or drinking. Weighing more than 3 pounds, the feeder is extremely stable and it features silicone rings around the food dishes, which help further prevent spills. User Reviews: The Pawfect Pets Elevated Dog Feeder received the best reviews of any elevated feeder discussed here. 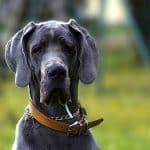 Most owners were incredibly happy with their choice and found that it provided a stable, spill-free way to feed their dog from an elevated position. Most owners also loved the way the feeder looked and reported that it looked great in their home. Bottom Line: The Pawfect Pets Elevated Dog Feeder doesn’t feature a spill ridge and you can’t adjust its height, so it isn’t as feature-packed as some of the other options available. However, it is one of the most stable feeding platforms on the market, making it a good choice for dogs that tend to tip over other elevated feeders. Why Use Elevated Dog Bowls for Large Dogs? To make it easier for old, sick or stiff dogs to eat. 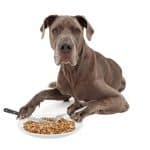 Some dogs may have difficulty eating from a bowl placed on the floor, so an elevated feeding platform can make it easier for them at chow time. It can reduce neck strain. Some dogs have trouble eating comfortably from floor level, and suffer from neck pain if forced to do so. Raised feeding bowls move the food into a more natural eating position, thereby helping to reduce the pain your dog experiences. To help prevent insect infestations. If you battle ants, roaches and other pests in your home, you may want to keep your dog’s food and water dishes up off the floor. This will help discourage the insects from feeding on your pet’s food and it will also reduce the chances that the insects will contaminate the food. For the aesthetics. Some people just prefer the look of elevated feeders (many are quite decorative). There is nothing wrong with this at all, assuming that you select one that is a good height for your dog and he doesn’t mind eating from it. Your dog won’t be very enthusiastic about eating if you use a rickety feeder that teeters back and forth while he’s trying to scarf down dinner. And you won’t be very enthusiastic about cleaning up the food and water that gets spilled on the floor in the process. Instead, you want a rock-solid feeding platform that doesn’t move very much when your dog is eating. It can be a bit tricky to determine the best height for your dog’s feeder, and you’ll probably find yourself needing to experiment a little. This is hard to do with feeders that don’t provide any way to adjust the height, so you should try to select one that provides some flexibility in this regard. If you simply must have a model that is not adjustable, try out the height first, by feeding your dog on a cardboard box (or something similar) that is the same height before making your purchase. All owners want to save a few bucks when possible, but you don’t want to end up with substandard food and water dishes in an effort to do so. Cheap food and water dishes will become scratched easily, which will allow them to harbor bacteria. Steel bowls are the best choice, but ceramic, glass and food-grade plastics are acceptable alternatives. Many of the best elevated dog feeders come with a spare set of dishes, which helps make dinner time much more convenient for you. This way, you can use one set of dishes, while the other set makes its way through the dishwasher. Additionally, if you purchase an elevated feeder that comes with extra bowls, you won’t be forced to make a late-night trip to the pet store, if one of them should become damaged. Do you use an elevated dog feeder for your large breed? How has it worked out for you? Does your dog appear to like feeding from the platform? We’d love to hear all about your experiences (as well as any tips you may have for others seeking a elevated dog bowl) in the comments below.